I have the driest of dry skin-and it gets almost unbearable in the winter. 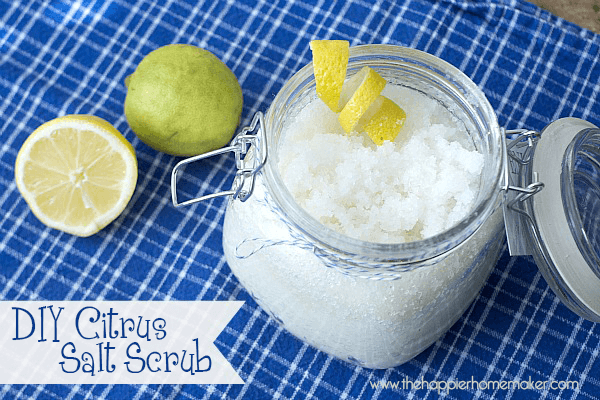 I started making this homemade skin soother to hydrate my skin during the worst of the winter months but I loved it so much I know use it year round. 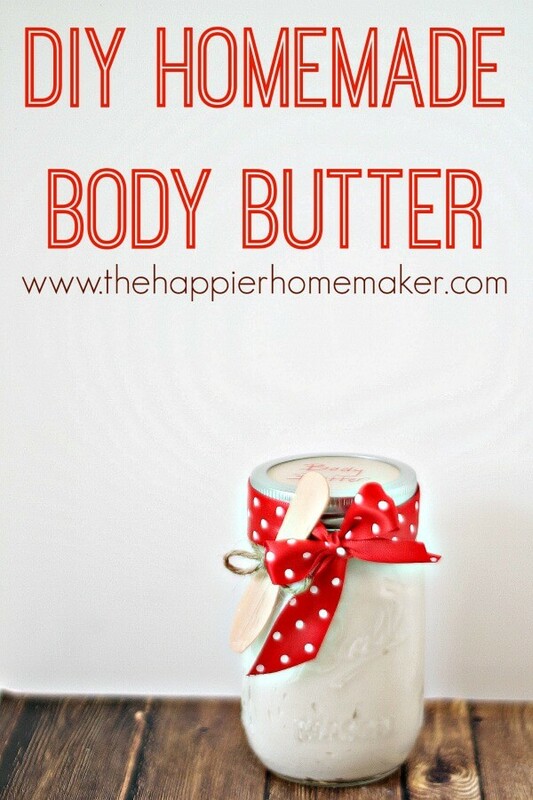 It keeps my skin soft and smooth and gets rid of the chapped hands I used to suffer through in the cold months. I’ve also discovered that it’s the perfect solution for those raw noses during cold season-in fact, when my three boys were recently all battling a nasty virus I made them each their own lip balm stick of this salve to apply to their little red noses-it cleared up the soreness within a day or two and because they each had their own they weren’t spreading more jerking around. 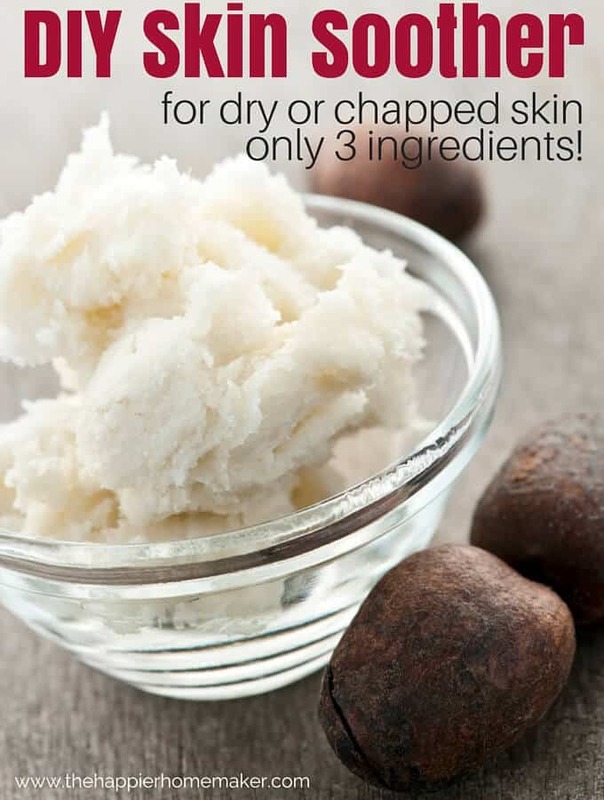 The best part about this skin soother is that it’s simple to make-only 3 ingredients! Simply combine all three ingredients into a microwave safe bowl and microwave for one minute. Stir well and pour into the container you’d like. 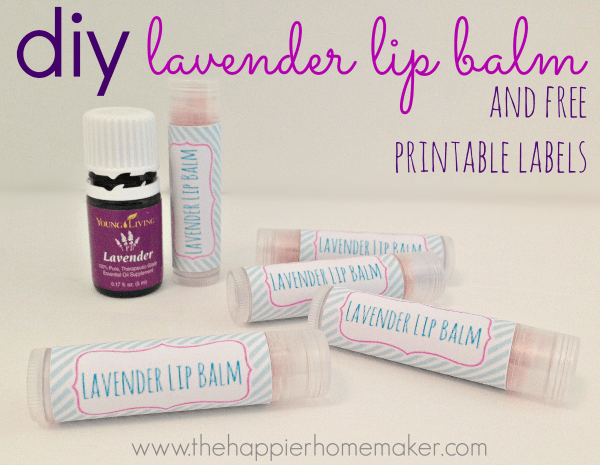 I use lip balm tubes if it’s for the face (raw noses) or empty plastic pill containers if I want a little bit to keep in my purse for my hands, etc. 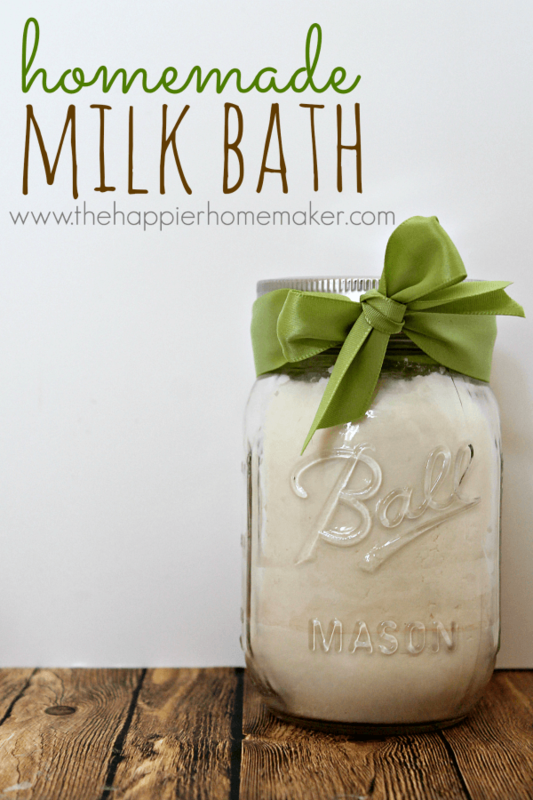 I also make larger double or triple batches to keep in wide mouth mason jars to keep in my bathroom for after shower full body use. Place the salve containers into the fridge to harden. It softens easily at room temperature so make sure your container won’t leak if you plan on carrying it around with you-I keep them in the fridge unless I need them (and I use a screw top plastic pill case for my purse so it doesn’t melt while I’m out! It really can’t be beat and I love the coconut smell! I’d like to add that while I’m a fervent user of essential oils in my home I don’t use them in this salve because it’s usually for irritated skin and especially for use around the nose. If you’re just using it as a moisturizer feel free to add 10-12 drops of lavender oil to the mix! Has anyone tried this for psoriasis? I have it bad on my lower legs, I hate not being able to wear sports & skirts. I skin is dry and I don’t like to use ready made product because they can damage my skin. Till now I am using milk as a skin smoother but now I will try your method.